Celeb Gossip News – Super Gonorrhoea UK: What is super gonorrhoea? What are the symptoms? Super Gonorrhoea UK: What is super gonorrhoea? What are the symptoms? Super gonorrhoea is currently a major concern for doctors and health officials, as the quickly evolving disease is developing against modern medicine. Certain antibiotics are now no longer effective against this particular strain, making treatment much more difficult. The most recent outbreak is the first to have cropped up in the UK, having before spread around South East Asia. Gonorrhoea is a sexually transmitted infection, which is commonly known as ‘the clap’. READ MORE: What is gonorrhoea? Super gonorrhoea is the street name of a strain of antibiotic resistant bacteria responsible for causing the disease. The bacteria is named Neisseria gonorrhoeae and has been able to ‘trick’ first-choice antibiotics which try to eliminate it. This is an indication of bacterial evolution, a natural occurrence in these organisms which can either be sped up or slowed down depending on how humans use medication and personal hygiene. 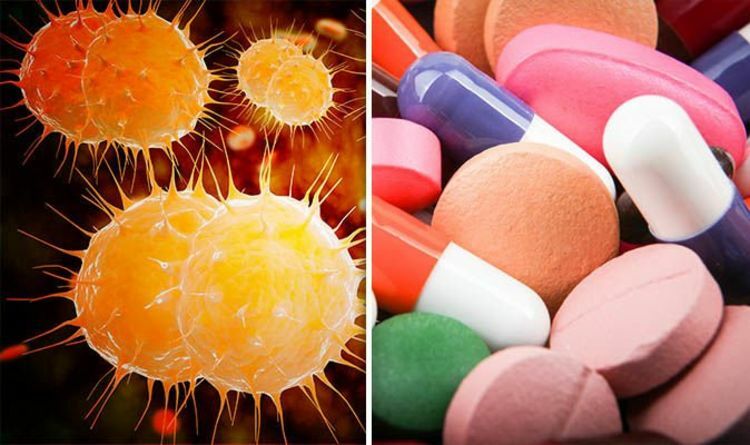 Antibiotics which are still effective against super gonorrhoea are now limited and although it is still treatable, spreading infections may mean there will one day be no medical recourse via these drugs. Two women have been infected with super gonorrhoea recently, one of whom caught the disease from within the UK and the other from Europe. There have been cases in the UK before but these have been contracted abroad. Although both women have now ben cured, spread within the UK means there is the possibility of more cases and has lead doctors to initiate investigations. Dr Nick Phin, deputy director of the National Infection Service at Public Health England revealed these cases were “extensively” resistant, and outlined the vital need for vigilance against the disease. He said: “Although these two cases of extensively resistant gonorrhoea have been successfully treated, contact tracing is under way to ensure there is no onward spread. “This is a timely reminder of the importance of avoiding getting or passing on gonorrhoea. Star Trek Writer Alex Kurtzman Reveals His Failed Batman Movie Pitch Glass age rating: How old do you have to be to watch Glass?